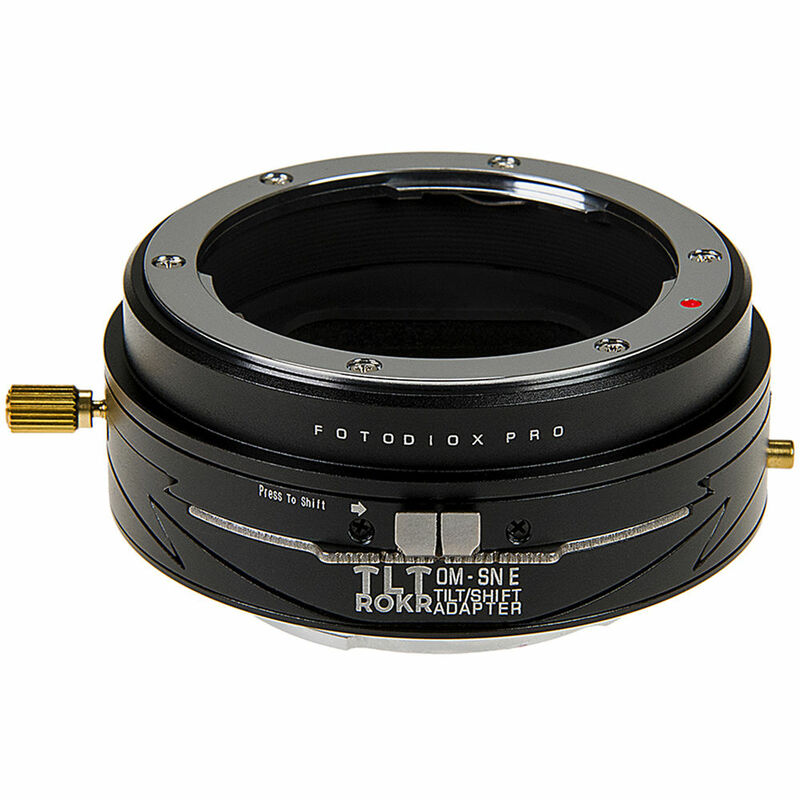 Beyond just attaching your Olympus OM-mount lens to your Sony E-mount mirrorless camera, the Fotodiox Pro TLT ROKR is a sophisticated lens adapter with integrated tilt and shift capabilities. Able to turn your lens into either a perspective control or a creative focusing optic, this adapter has +/- 10mm of shift, for correcting converging lines and adjusting composition, as well as 10° of tilt, for fine-tuning your focus position to either increase depth of field or achieve creative selective focus effects. A 360° rotating mechanism is incorporated into the adapter's design, as well, to permit applying the tilt and shift movements in any orientation required. When zeroed-out, the adapter functions as a simple, manual adapter that maintains infinity focus while requiring manual aperture control, and it features a durable all-metal construction with chrome-plated brass mounts.